The prestigious academy has 84 foreigners among its 721 students, but few are accepted when they are as young as Harper and few are integrated into the regular Russian program. In addition to her dance classes, Harper has Russian language lessons every day at the academy. For her other subjects, she does online classes in the evenings and on weekends. On Sundays, her only day off, she and her mother often explore their new city. They also have already seen more performances at the Bolshoi Theater than most Russians see in a lifetime. Harper started ballet at a local dance school when she was 3 years old. 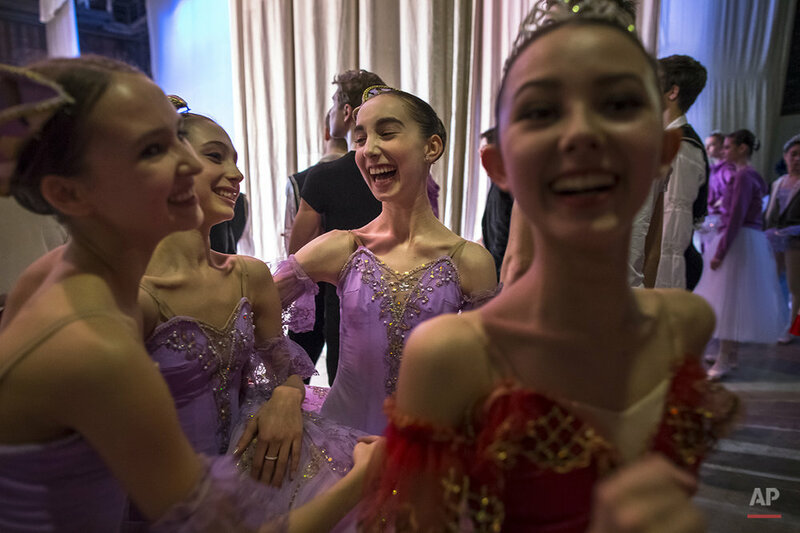 When she turned 11, she was accepted to the School of Oregon Ballet Theatre in Portland, a three-hour roundtrip journey that she and her mother made six days a week. "Being 3 in ballet class, it's fun and games," Harper said, smiling at the recollection. "My teacher was wonderful, it was so much fun. And then once I got more professional I realized how much you have to sacrifice, and how difficult it is." Text from the AP news story, US teen pursues ballerina dream at Russia's Bolshoi academy, by Lynn Berry.